Welsh tennis star Evan Hoyt has chalked up his sixth doubles tournament win of the year. The Llanelli right-hander was partnered to victory at the ITF Futures tournament in Tunisia by Luke Johnson. The British pair clinched the title with a straight sets victory over Italian Marco Bortolotti and Canadian Steven Diez in Monastir. Hoyt and Johnson – the Welshman’s fifth different winning partner of the season – took control by winning the first set 6-4. And they tightened their grip on the match in the second set which they secured 6-2 to win the match inside an hour. The win in the final completed the pair’s impressive record of not having lost a set throughout the tournament. Their road to the final started in impressive fashion winning the round of 16 match with an emphatic 6-1, 6-0 win over Chile’s Diego Fernando Flores and David Jorda Sanchis, of Spain. Hoyt and Johnson cruised through their quarter-final against India’s Aryan Goveas and Francesco Vilardo, of Italy, with a 6-1, 6-2 success, before overcoming Holland’s Maikel Borg and Germany’s Jakob Sude 6-2, 6-4. The number two seeds weren’t to be denied in the final as they swept past the number four pairing of Bortolotti and Diez. The victory completed a half-dozen of doubles tournament wins for Hoyt since April, when he won the Egypt Futures with American Dusty Boyer. His latest doubles title win before Tunisia saw him win his first Challenger title in Canberra. The Llanelli product also won a singles Futures event Down Under during a year which has seen him soar to career highs of 440 in the world singles rankings and 264 in the doubles. 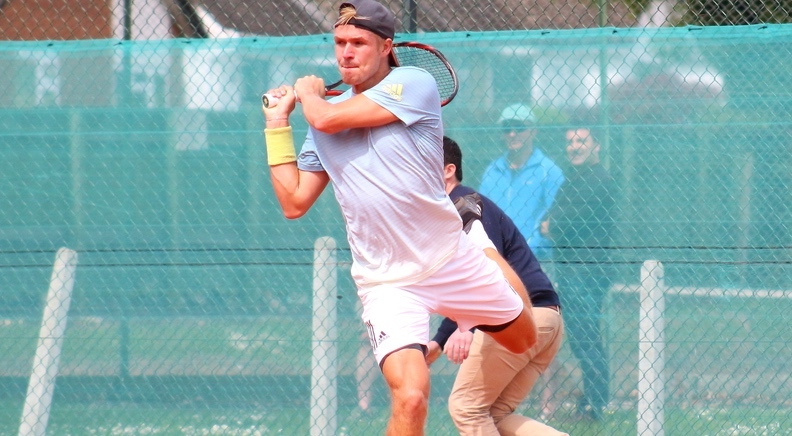 The singles tournament in Tunisia saw number four seed Hoyt reach the semi-finals after beating his victorious doubles partner Johnson 6-4, 6-4 in the quarter-finals. However, he was defeated in the semi-final 6-4, 6- by Diez, one half of the partnership he and Johnson overcame in the doubles final.